By Jack DavisReviewed by Dr. Surat P, Ph.D.
Clonogenicity is the ability of a cell to clone itself and grow into a full colony of cloned cells. Stem cells are well-known for their ability to grow and differentiate into different types of cells. The clonogenicity of cells is commonly measured using a clonogenic assay, or colony formation assay that measure the ability of cells to divide and form clones upon subjecting to cytotoxic agents. This assay is widely used to study the effect of radiotherapy and chemotherapy on different cell lines and helps to measure the extent of different treatments on biochemistry and clonogenicity of cells. Clonogenic assays are useful when developing new therapies for cancer research. Stem cells fall under several sub-categories: totipotent, pluripotent, multipotent, oligopotent, and unipotent stem cells. Each has different levels of ability to form clones and to differentiate into different types of cells. Totipotent stem cells can differentiate into any type of cell. While pluripotent stem cells can differentiate into any cell in an organism, totipotent cells can also give rise to embryonic and placental cells. Embryonic stem cells, commonly used in research, are examples of pluripotent stem cells. Multipotent stem cells can replicate to form a few different types of cells, but of a similar function. For example, haematopoetic stem cells found in the bone marrow can give rise to blood cells. Oligopotent cells are even more specific and only give rise to a handful of different cells. Unipotent stem cells are most specific and can only form clones of themselves without differentiating into other types of cell. These stem cells are found in most epithelial tissues, which self-replicate during normal lifespan. How can stem cells be used for cloning? The world of stem cell research is developing every day, with many advancements and potential future options being developed. Stem cells can be used cancer research, drug testing, and therapeutic cloning etc. 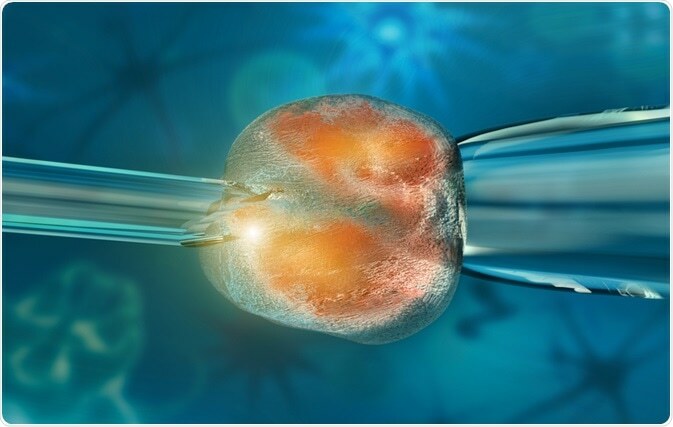 Therapeutic cloning, otherwise known as somatic cell nuclear transfer (SCNT), is a process where stem cells are isolated from an artificially created blastocyst, and grown to treat diseases or for use in transplants. How does therapeutic cloning work? Therapeutic cloning is performed by removing the nucleus of an egg cell and replacing it with the nucleus of a somatic cell of the patient in need of the stem cells. This egg cell is then stimulated to divide which then develops into a cluster of cells called a blastocyst, an early stage embryo. The blastocyst contains pluripotent stem cells which are genetically identical to the donor of the somatic cell nucleus, hence a clone, and can be used to treat or conduct research on these diseases. Another possible option would be to grow these cloned stem cells and differentiate them into specific cells to replace organs, reducing the need for organ donors and chances of organ rejection. Currently, the cloning of human embryonic stem cells is illegal in many countries across the world, though several countries permit the research of these cells in certain cases. The ethics of embryonic stem cell research is greatly under debate, but methods have been developed to combat this. Induced pluripotent stem cells have been made which are produced directly from adult somatic cell lines. These cells avoid the ethical issues associated with embryonic stem cell cloning, but still keep the qualities of a pluripotent stem cells that are genetically matched to the donor. Jack is a freelance scientific writer with research experience in molecular biology, genetics, human anatomy and physiology, and advanced analytical chemistry. He is also highly knowledgeable about DNA technology, drug analysis, human disease, and biotechnology.